The Eden Alternative guides us in everything we do. Because it does, we continue to emphasize remaking the aging experience. This inspiring philosophy puts our residents and patients at the center of their lives. It’s why we have pets in our campuses, so many intergenerational experiences and a focus on purposeful living. 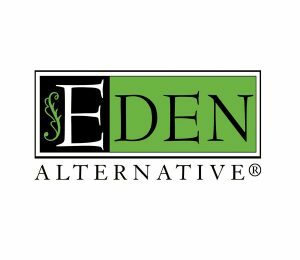 Because the Eden Alternative is so important to us, we’re inviting the Eden Alternative folks to our Waukesha County campuses to conduct training. During that time, roughly 100 members of our team will participate. Board members, leadership and many on our care teams are all part of the two-day training this month. It will consist of two unique courses – “Open Hearts, Open Minds” and “Building Strong Care Partner Teams.” The Open Hearts, Open Minds training is a compelling introduction to the power of the Eden Alternative’s Ten Principles. You can find the 10 Principles on our Eden Alternative page or here on the Eden Alternative site. Our team members will gain a better foundation of the Eden Alternative in this training. Thus, we can continue to open up hearts and minds to the Eden culture. The second training, Building Strong Care Partner Teams is exclusive to our caregivers. It is designed to empower our team members to identify and build shared strengths while developing deeper relationships with one another. The training is considered an essential building block of person-directed care. We are excited to work with the Eden Alternative team to continue our journey of remaking the aging experience in Waukesha County.